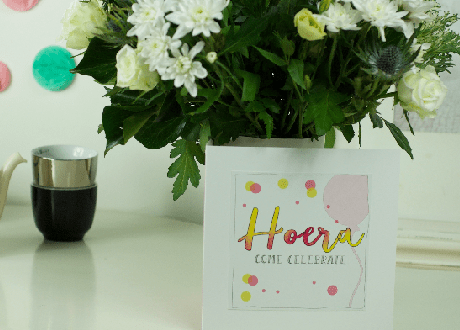 Greeting card and vase all in one! Gift tip: Bloomincard with a plant! Our special collection Dutch cardvases! Surprise with flowers and a personal note! IWD2018 from Inc. on Vimeo. Wilt u iemand verrassen met bloemen met een persoonlijke touch? Dat kan! 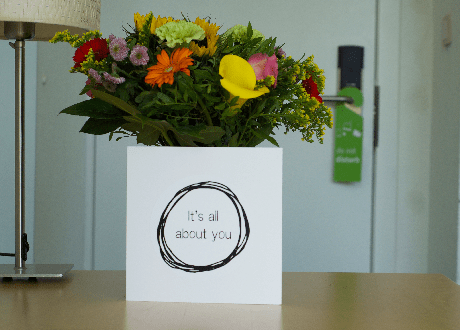 Binnenkort is het mogelijk om Bloomincard samen met een kleurrijke bos Gerbera's per post te bezorgen. Especially for Bloomincard with plants there is now a display available to see on the Royal Holland Trade Fair at Grower De Groot. Stand number: 22.4. 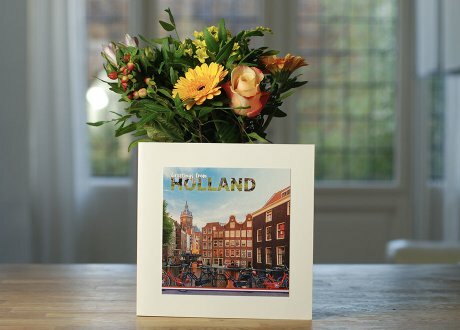 Bloomincard is now also available at the Lab Hilversum and Baarn. Here you can see our concepts with plants. Be inspired in this shop in shop stores! hem welkom met een persoonlijk gebaar! and show him once in a while you care! Especially for florists and small retailshops we have a display available which you can easily hang on the wall of your store. Together with Grower de Groot we introduced the concept Bloomincard with plants at the Royal Holland Trade Fair. 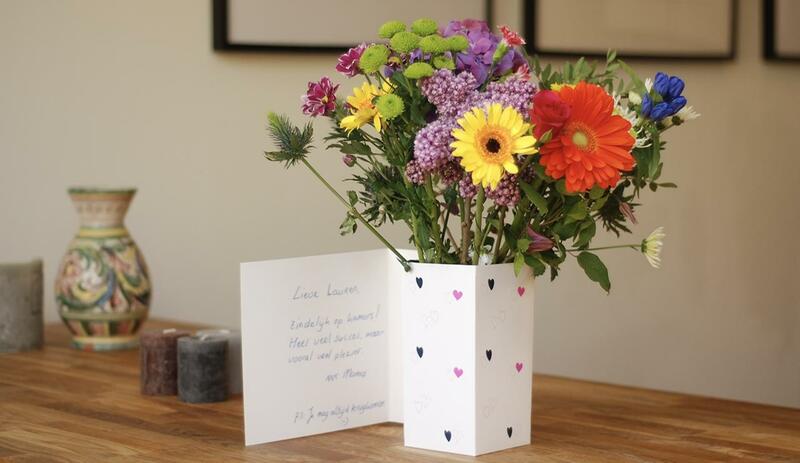 Marina 's niece has Bloomincard delivered at her house. The design ‘kiss for you’ was very much appreciated by Marina. Next birthday i'll come and deliver a kiss myself. Together with Bloomincard. Given by Pascal (her husband) this Bloomincard with valentine. He also cooked a very nice dinner for me. Maybe next year again a Bloomincard. Puck congratulates Marjolein on her birthday and gives a bunch of flowers with Bloomincard. She can put the flowers instantly in this greeting card with built-in vase. Puck also left a personal message for Marjolein in Bloomincard.